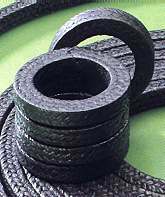 SEALMASTERS supply an extensive range of gland packings, including the most advanced packing fibres, and the highest quality braiding and lubricating processes. 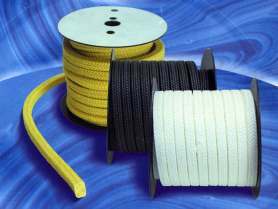 Material specifications include Cotton and Flax; Asbestos; Glass Fibre; Poly Acrylic Nitrile (PAN) fibres; Carbon Fibre (Kevlar); PTFE fibres, and composites of the above suitable for all applications. 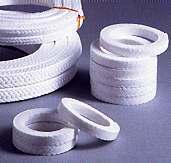 Lubricants incorporated into the packing construction include PTFE and Graphite. Packings are available for use in very harsh chemical environments; food and water industries where contamination must be avoided; high and low speed applications and for a wide range of pressure and temperature conditions.